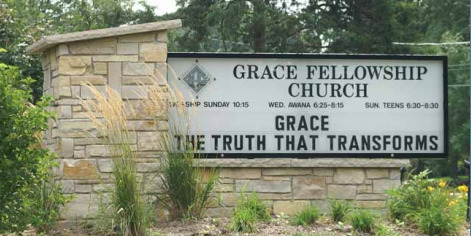 Welcome to Grace Fellowship Church of Woodstock. Thanks for stopping by our website. We pray that God will bless you in a special way today. It would be great to have you join us on Sunday morning. Our Worship Service is at 10:15. We provide nursery care for cildren through age 3 and have Childrens Church for ages 4 through 10. We believe that the Bible is true and gives comfort for the present and hope for the future. Our services are practical for daily living.